A cleaning planned for the Manhattan park where “Occupy Wall Street” protesters have camped out for weeks has been postponed, a move that averts a showdown between demonstrators and police. The New York mayor’s office said Brookfield Properties, the owners of Zuccotti Park, told the city late Thursday the scheduled cleaning is off for now and “for the time being” they are “withdrawing their request” made earlier in the week for police assistance during the cleaning operation. “Our position has been consistent throughout: the City’s role is to protect public health and safety, to enforce the law, and guarantee the rights of all New Yorkers. Brookfield believes they can work out an arrangement with the protesters that will ensure the park remains clean, safe, available for public use and that the situation is respectful of residents and businesses downtown, and we will continue to monitor the situation,” Deputy Mayor Cas Holloway said. There had been fears of a standoff between New York officers tasked with clearing the park early Friday and protesters who wouldn’t budge. The city had ordered the protesters to leave by 7 a.m. so crews could clean the park. But the protesters mopped, collected trash and scrubbed the pavement in the dead of the night as the Friday deadline neared for them to leave the premises for a cleanup. When the word of the postponed cleaning filtered through the more than 1,000 protesters who filled the park, they were elated. The demonstrators, who have been chanting “All day! All week! 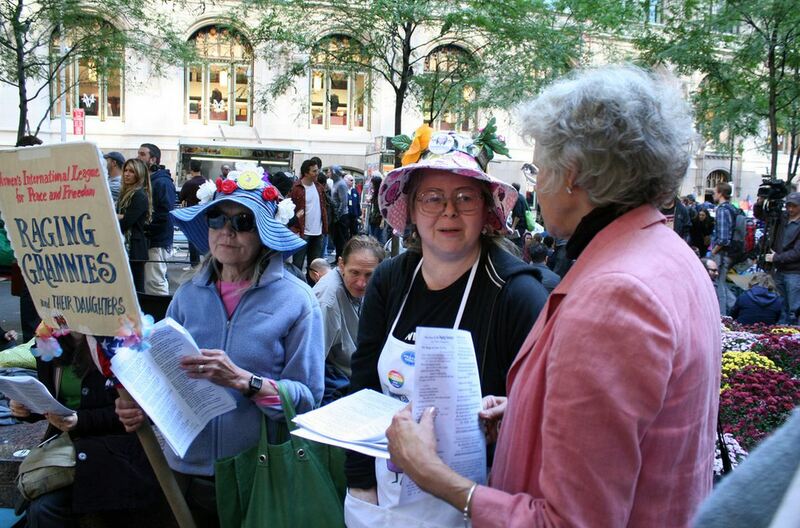 Occupy Wall Street,” called the development a victory and planned to continue their passive resistance.